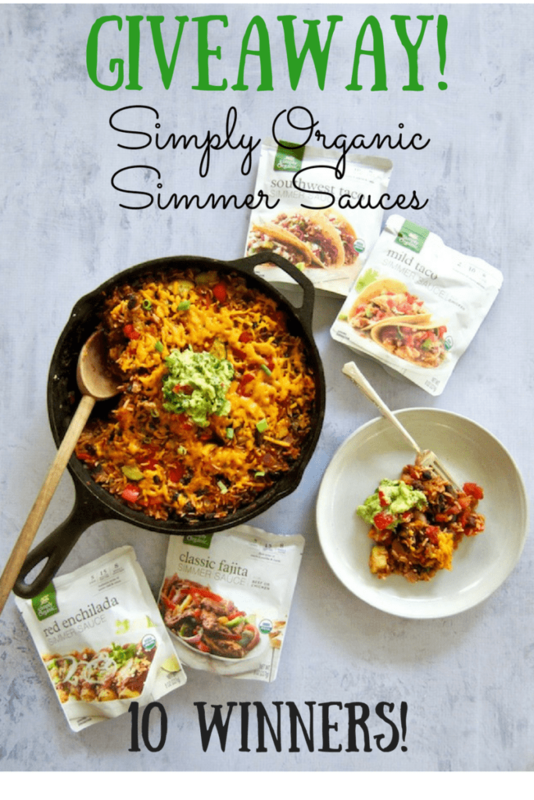 Easy One Pan Meal: Vegan Mexican Rice Skillet + Simply Organic Sauce Giveaway! This Easy One Pan Meal: Vegan Mexican Rice Skillet (gluten free!) is a great weeknight dinner side or main meal. Simply toss rice, black beans, diced tomatoes, Simply Organic Simmer Sauce and some veggies in a skillet and let simmer. Minimal chopping required! Today I’m so excited because I’m hosting my first ever giveaway on Vegan Chickpea, woot woot! Simply Organic is giving away a bundle of their 4 Simmer Sauces to TEN winners! Will you be one of them? Scroll down to the bottom of this post to enter! A couple week ago I shared with you my Southwest Veggie Burrito Bowls with Quinoa and Guacamole – noticing the Mexican trend here? I’ve always loved Mexican and can’t get enough of the warm, flavorful spices. 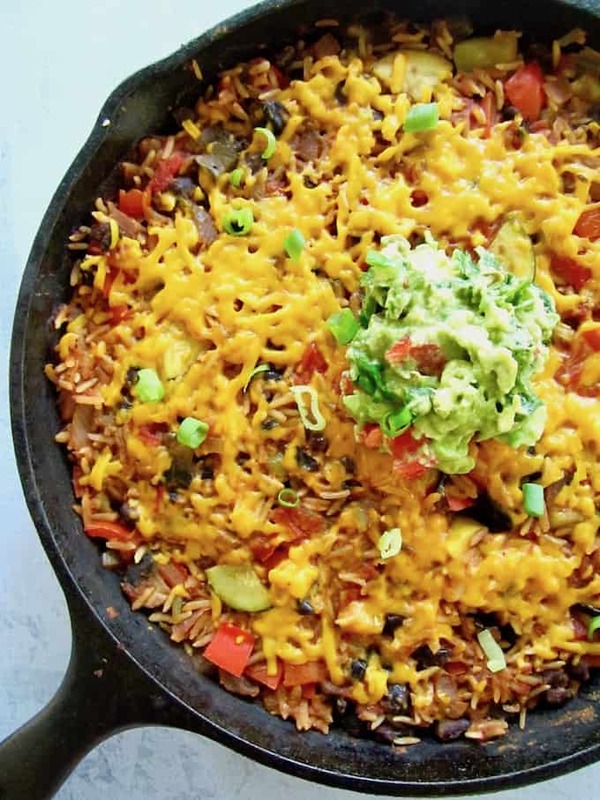 Today’s Easy One Pan Meal: Vegan Mexican Rice Skillet recipe is seriously easy. You know those nights that cooking dinner feels like a chore? Well with this, you just toss some quick cook brown rice, a can of black beans, can of diced tomatoes, can of green chiles, packet of Simply Organic Southwest Taco Simmer Sauce in a skillet, along with some veggies. The only prep required is chopping some onion, bell pepper and whatever other veggies you want to add in. After that, it’s just combine and simmer! Who else is excited about this? The Simply Organic Simmer Sauce infuses so much flavor that I literally added no other spices to this dish. With clean organic ingredients, they’re great to have on hand for busy nights! I turned my sister on to them after I made The Best Creamy Vegan Mexican Casserole with the Classic Fajita sauce for her and her husband, and now she buys them regularly. I especially love the Classic Fajita and Southwest Taco Simmer Sauces because they are sugar free! This recipe makes a perfect side dish or even a main meal on its own. I’m a veggie lover so tossed in some leftover steamed kale, green beans and broccoli to my rice when it was ready, and had a simple salad on the side to make this a complete meal. Oh yes, and of course some homemade guacamole on top! 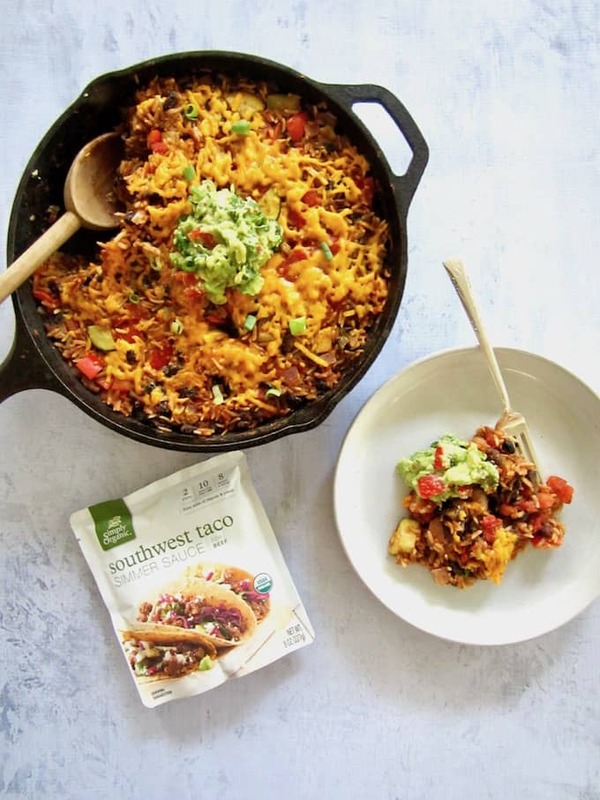 Easy One Pan Meal: Vegan Mexican Rice Skillet + Organic Sauce Giveaway! This recipe is a great weeknight dinner side or main meal. Simply toss rice, black beans, diced tomatoes, Simply Organic Simmer Sauce and some veggies in a skillet and let simmer. Minimal chopping required! In a large cast iron skillet, heat 2 Tbsp water on medium-high heat. Add the onions and pepper. Let cook for 5 - 7 minutes, stirring occasionally. Add the remaining mixed vegetables and cook for about 3 minutes more. Add all remaining ingredients to the pan except the cheese. Stir to combine, then cover and reduce heat to high simmer. Let cook, covered, for 15 minutes. Stir the skillet and check that the rice is cooked. (You may need an extra 5 - 10 minutes depending on how high your stove was turned up.) Reduce heat to low, sprinkle the cheese on top, cover and let sit a couple more minutes until the cheese melts. 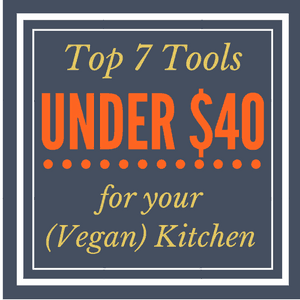 Top with any toppings you desire - guacamole, cilantro, green onions, vegan sour cream, etc. Serving suggestion: This recipe makes a perfect side dish or even a main meal on its own. I'm a veggie lover so tossed in some leftover steamed kale, green beans and broccoli to my rice when it was ready, and had a simple salad on the side to make this a complete meal. I have not tried this with regular brown rice, only the quick cook kind. If using brown rice, follow the recipe but you'll need to simmer the skillet for about 40 minutes. If you don't have a cast iron skillet, a regular skillet will work. NO PURCHASE NECESSARY TO ENTER OR WIN. A PURCHASE DOES NOT IMPROVE YOUR CHANCES OF WINNING. VOID WHERE PROHIBITED BY LAW. Giveaway ends September 26, 2017 at 11pm EST. Winners will be contacted within 48 hours via email, and must reply within 48 hours of being contacted with their shipping address or else automatically forfeit the prize. Must be 18 years old to enter and live in the USA or Canada. Thank you BlogGiveawayDirectory.com for sharing about this giveaway on your site! the Mexican rice looks fantastic - i think that might be my new favorite once i get the chance to make it. Thanks Jacquie! Good luck in the giveaway! I likje enchiladas and tamales. There are endless ways to make both. Yum! I've never made tamales before :O - that needs to change! I absolutely love tamales. Sooooooo good! I haven't had tamales too often but need to revisit them! I love tamales and Chile relleno. Mexican is one of my favorite cuisines! I never get tired of tacos! Me too Amy! And nachos... those might be my all time fav! Definitely my favorite Mexican Dish is tamales. Probably because they are so hard to find... and good ones at that but I do love a lot of Mexican Dishes.... Tacos, Nachos and Enchiladas to name a few. Tamales are my absolute favorite. I'm so fascinated that almost everyone has commented to say they love tamales! I've only had them once a long time ago when I was a kid. I need to seek out some great ones! My favorite Mexican meal to recreate is Rice bowls. I use lime caulirice, corn, salsa, guac and chipotle flavored tofu. So so good! Oh my goodness - lime caulirice and chipotle tofu?! SIGN ME UP!! That sounds ammaazzzing! I love enchildas, such a comfort food. Mm, that does sounds comforting! I love, LOVE Mexican foods! Right now my favorites are tamales. Mexican is just the best, right?! Anything, and I do mean anything, with a little kick to it is my favorite! I love the Southwestern/Mexican flavors and the spiciness they bring to the table. Oh yes, me too! I love Frank's Hot Sauce - my fav! This rice skillet combines some of my favorite ingredients and spices. Is it possible to use yellow instead of red one, Sarah? Mmm I love sheet pan fajitas with Spanish rice and black beans. Chicken fajitas are my favorite! Enchiladas are my favorite Mexican meal. I love Mexican food any way, shape, or form but my favorite is a burrito. I love it all too!! Love the one pan cooking. Makes life a little easier.